Dark Cruz Yin & Yang. I think it is self-explanatory. The symbols of the traditional Chinese characters are tatuagens on the neck of one being Ying & the other Yang. The dark-haired version is not a variant of Ichigo, I coloured to be the real life Cruz as I personally know. 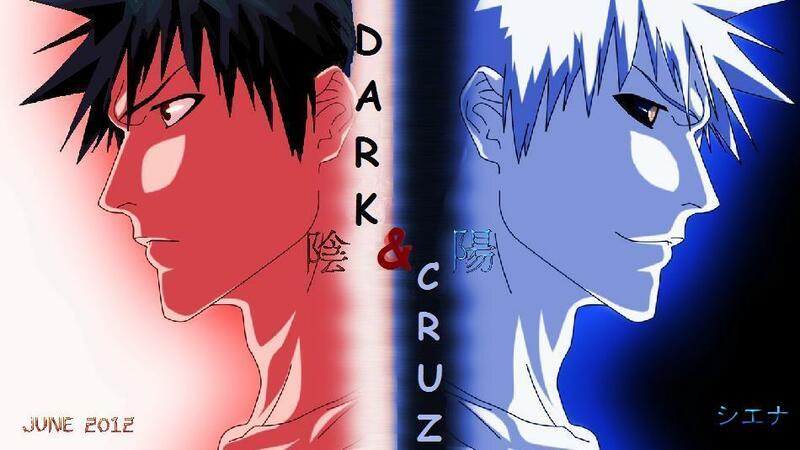 HD Wallpaper and background images in the DarkCruz360 club tagged: darkcruz360 bleach cruz sinna. I'm so glad. It wasn't easy my friend. I am usually not satisfied or pleased with my work at first. I am very pleased with how this turned out - it "pleases meh" lol -grows on meh anyway & I am getting better with lines and eyes (even though this is not entirely my work & I am sure someone could Google the original & compare).